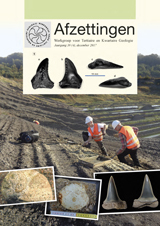 Recently, a tooth of Hemipristis serra was discovered in the base of a Miocene layer at the Rumst-Terhagen clay quarry in Belgium, currently exploited by Wienerberger. This prompts to elaborate on this discovery, as well as on the stratigraphic range of this species in the southern North Sea Basin during early-middle Miocene times. It is being reiterated that Hemipristis serra is a rare guest in the Miocene of the North Sea Basin, which is linked to climatic factors. Furthermore, a proposed narrow stratigraphic occurrence for the species in the North Sea Basin ranging from Burdigalian to Langhian age is discussed.